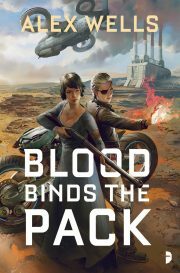 Blood Binds the Pack is the second volume in Alex Wells’ Hob Raveni series. In the previous volume, Hob Raveni and the Ghost Wolves achieved the near-impossible: they assassinated Mr. Green, one of TransRift’s psionic-adept Weathermen. But that was not the end of the story. 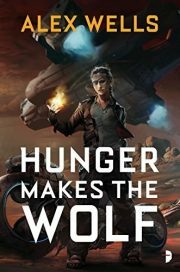 TransRift is determined to crush the resistance and take total control of Tanegawa’s World. They have sent a new enforcer: Mr. Yellow. Hob and the Wolves were lucky to kill one Weatherman. Can they kill two?